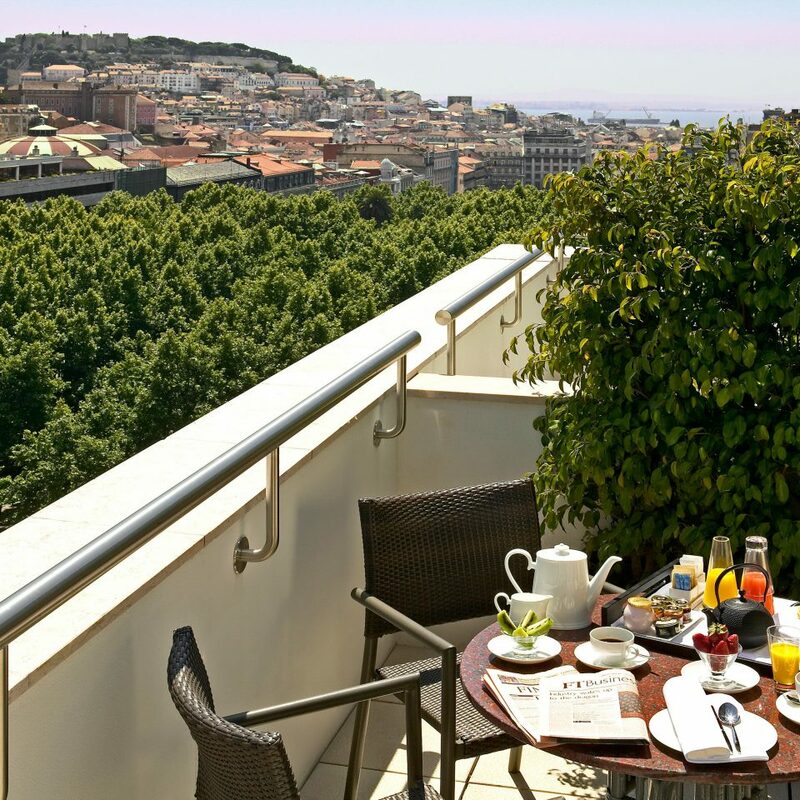 Behind a grand façade on Lisbon’s tree-lined boulevard Avenida da Liberdade, this luxe hotel combines cutting-edge style and a classy location. A huge revolving door leads through to an elegant lobby furnished with pale stone, dark wood and red and gold flourishes. 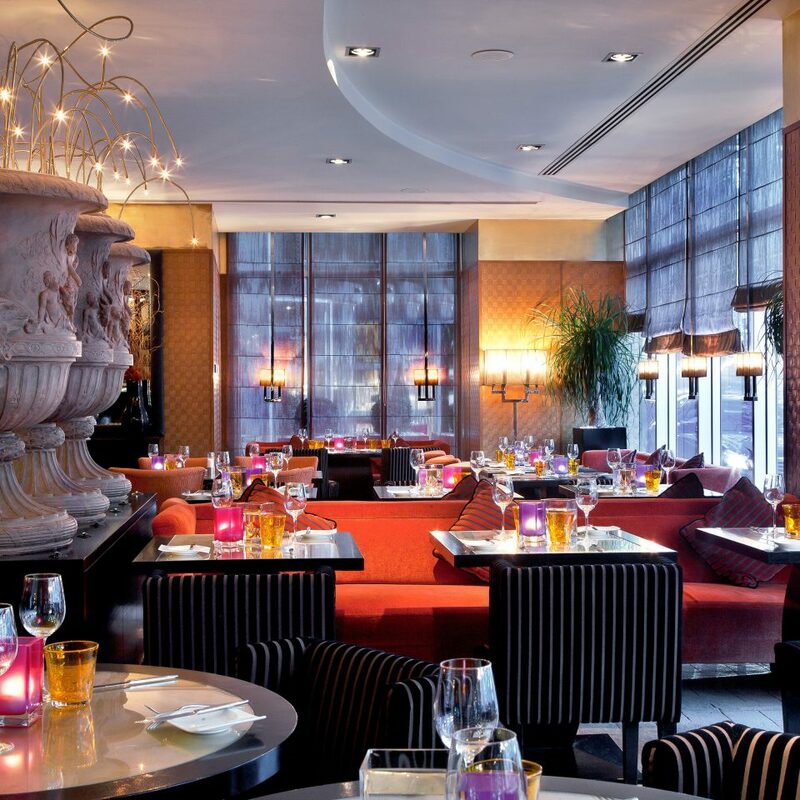 The ground-floor Intra-Muros bar is glamorously decked out with scarlet upholstery, gilt vases, bronze gongs and works from 1920s China and Macau, evoking the city’s Oriental connections. 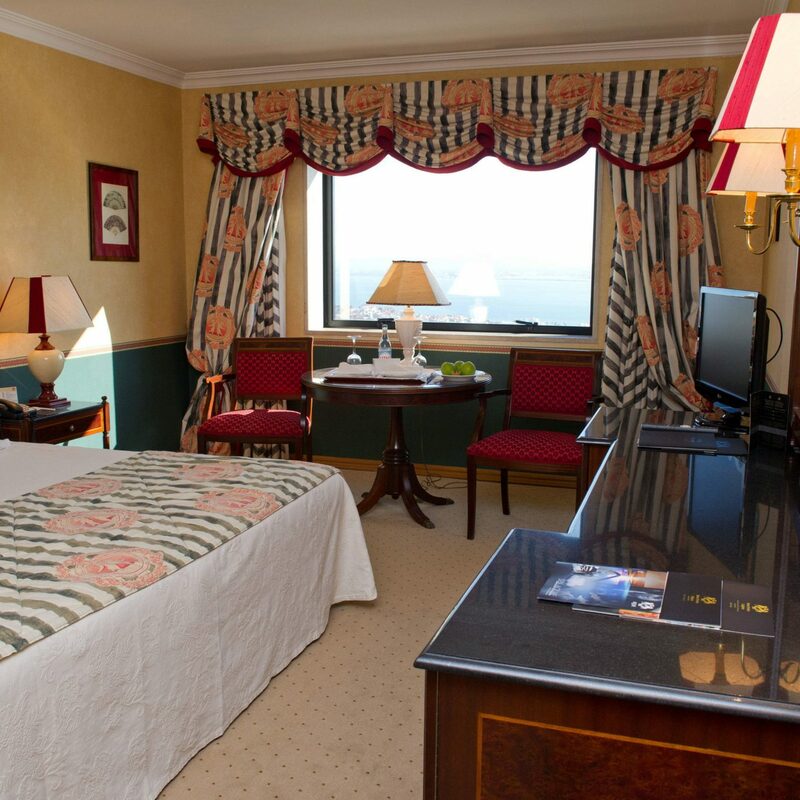 In the guestrooms, a palette of creamy rose and ochre is offset by dark wood furniture and red silhouette prints. Extremely comfortable MyBeds (King, Queen or Twin) make a lazy room service breakfast all the more appealing. They come with down pillows, but hypoallergenic bedding is available on request. Black-and-white bathrooms have rainfall showers and luxe toiletries from Hermès and Lanvin. There’s a good mix of techy amenities and luxe extras, such as iPod docks and free WiFi and a turn-down service that includes spring water and chocolates. 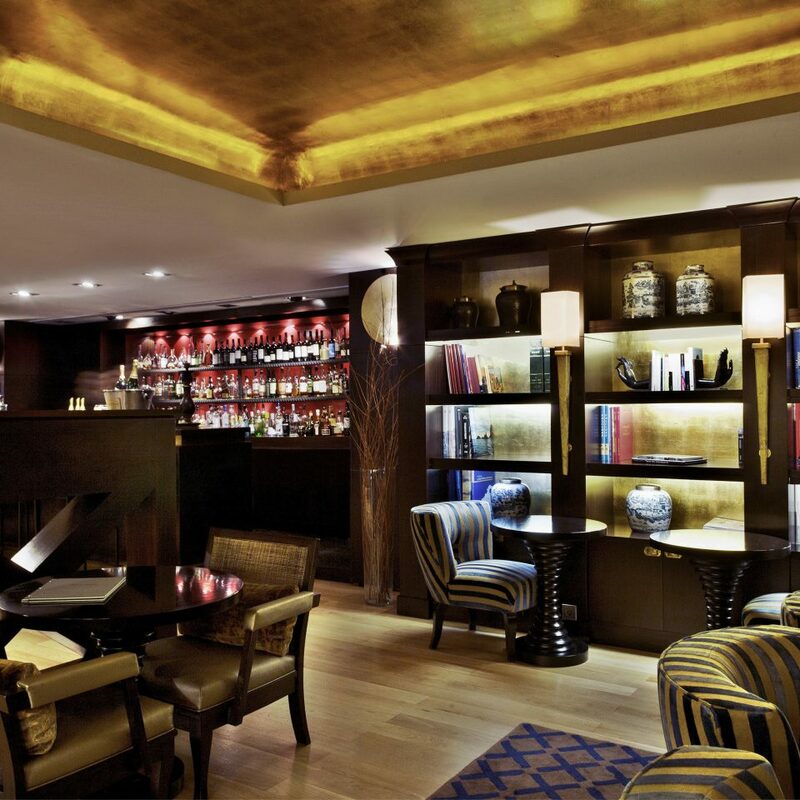 The Intra-Muros lobby bar is a top spot for classy cocktails and serves an impressive portfolio of port and Madeira labels. 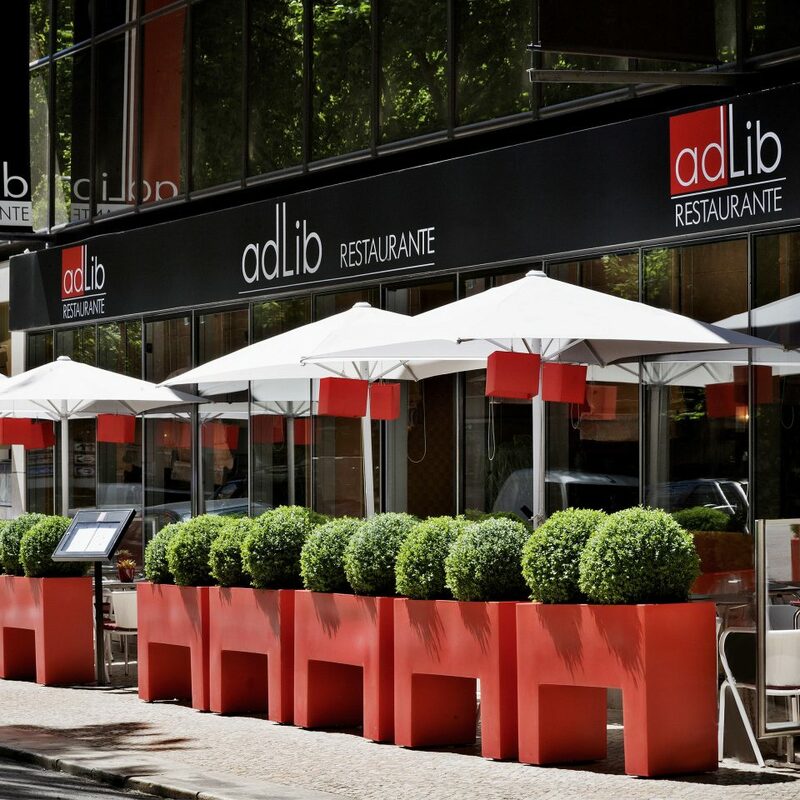 Wines from the Douro, Alentejo and Setubal vineyards are on the menu at the AdLib restaurant, where chef Daniel Schlaipfer offers French-Portuguese fusion dishes. There are lots of great bars and restaurants nearby too. 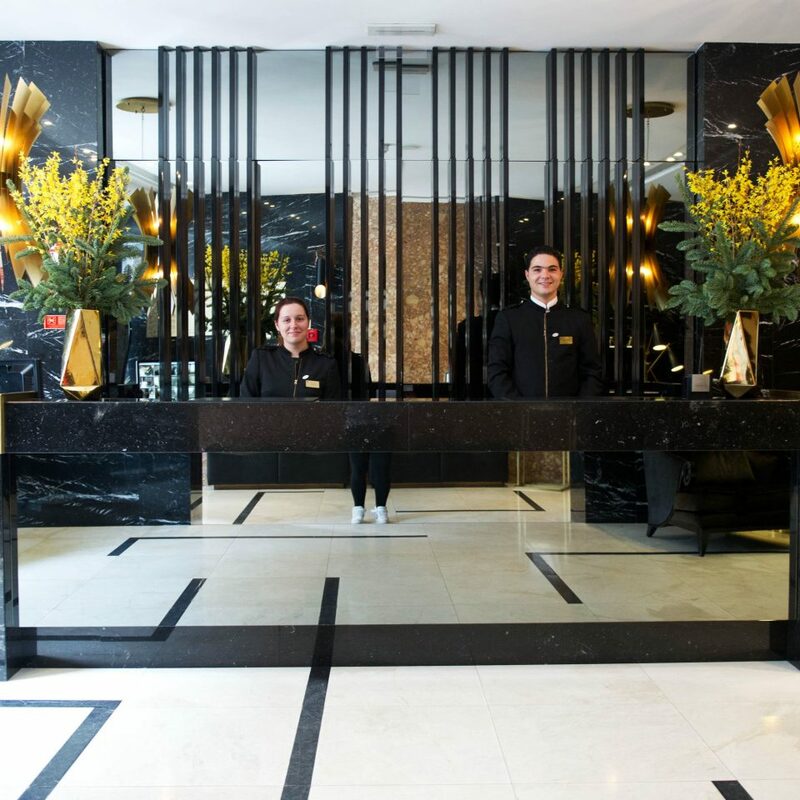 The hotel’s Golden Key concierges can provide suggestions and make dinner reservations. 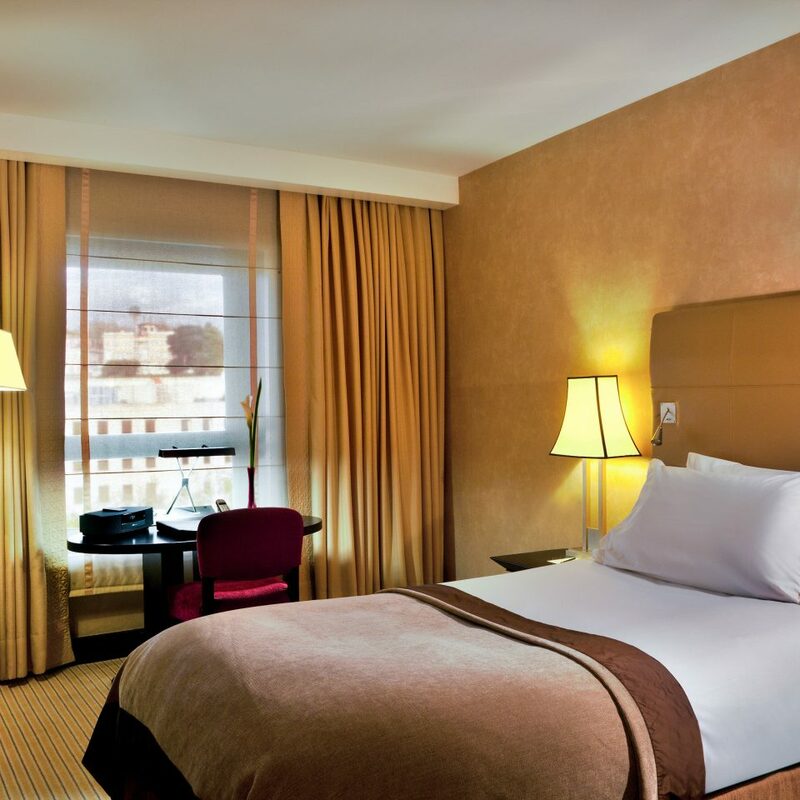 There’s no spa on-site, but in-room massages can be arranged to soothe the kinks after a day’s sightseeing. For drivers, the hotel’s underground garage is a boon in a part of the city where parking spaces are very hard to find. 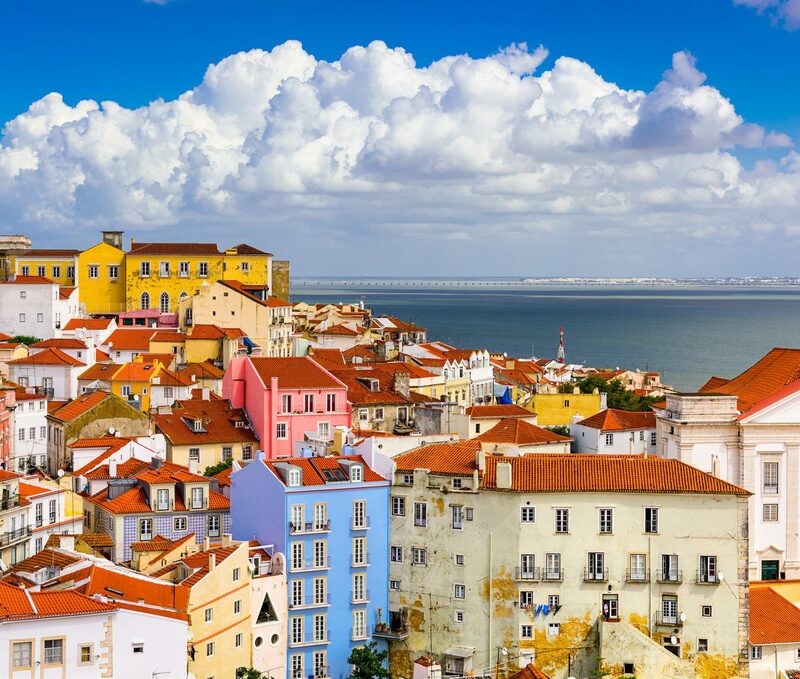 Take a guided tour of Lisbon’s mind-blowing street art. The city has become a world graffiti capital and the local government even has a department dedicated to promoting it. Take the Elevador de Santa Justa from Baixa to Largo do Carmo, a neo-Gothic wrought iron elevator dating from 1902. It was state-of-the-art when it opened, and the views from the 150-foot-high platform are still impressive. The Museu Calouste Gulbenkian has a wondrous collection of 6,000 ancient and modern artifacts and works of art, and on Sunday afternoons it hosts free concerts. Try your luck at Casino de Estoril, one of Europe’s oldest, grandest and biggest casinos. Non-gamblers can enjoy its glitzy club, Jezebel, which transfers to nearby Tamariz Beach in summer. 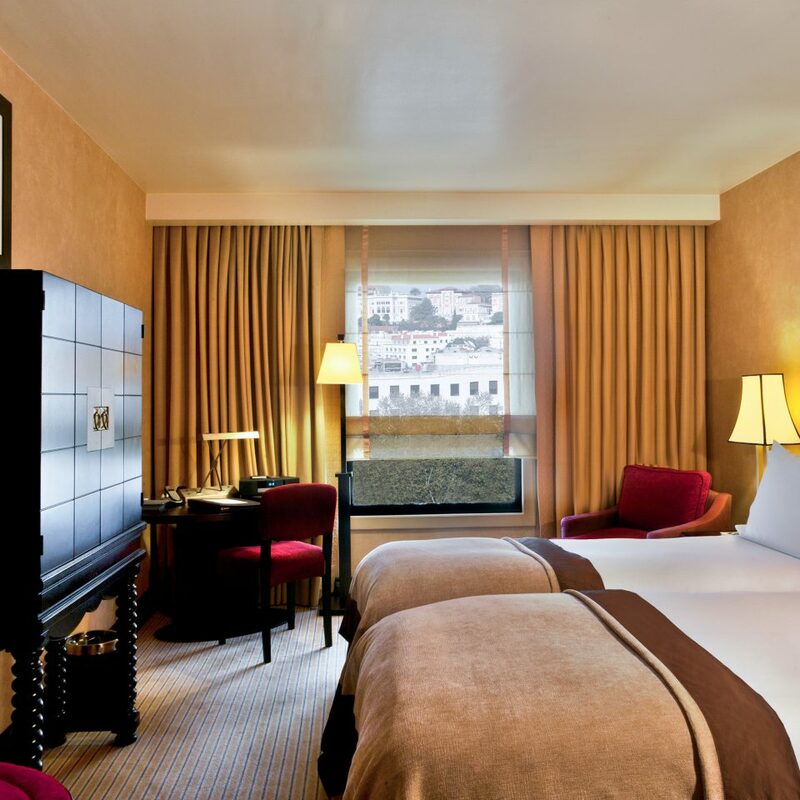 While celebrating our anniversary in Portugal we stayed at the Sofitel, Lisboa. 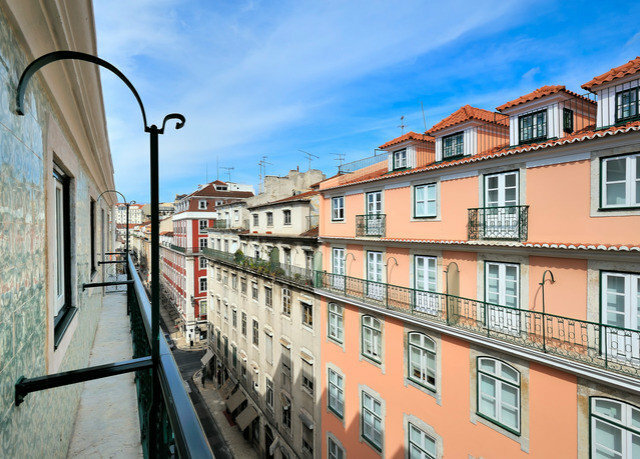 The hotel is in the main boulevard, Avenida da Liberdade, with restaurants, shops, and beautiful views and experiences within walking distance. However, it was the service and attention to detail by the staff that made our stay really special. Luciano, in the main lobby, provided us with daily travel suggestions, made reservations at restaurants, and even connected us with a very knowledgeable tuk tuk driver that took us around town. Luciano ensured that every restaurant seated us at their best table, where we were treated with their best dishes and wine. The hotel facilites were very nice and the room was very comfortable with views to the tree-lined boulevard. Staff had a surprise bottle of champagne, chocolates and exquisite treats for us when back from dinner. Every day there were little details that made our days in Portugal very special. The Sofitel Lisboa (Luciano and all the staff) made for a fantastic anniversary celebration. We will certainly be back. 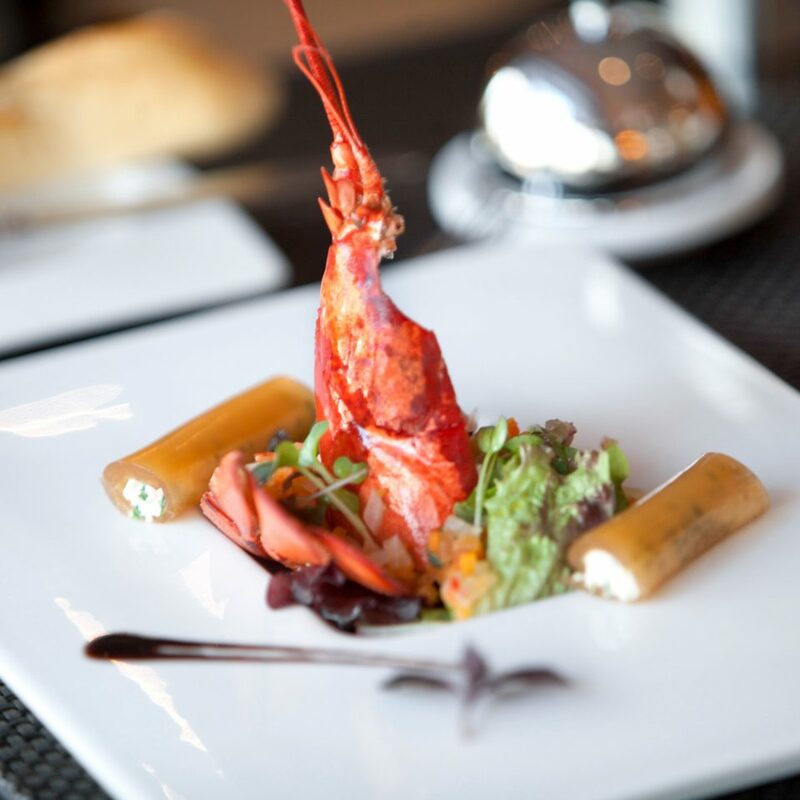 This, as with any of the Sofitel places I have stayed is unlikely to disappoint, the location is quite central and within a relatively easy walk of some of the attractions along the seafront. 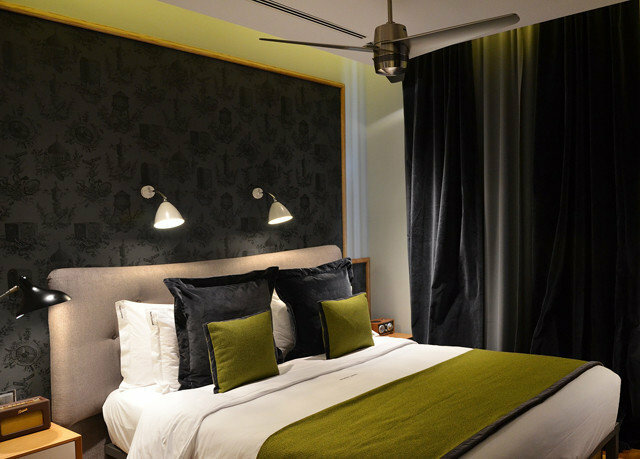 The rooms are well appointed and have everything a hotel should have, plus an Illy coffee machine which is always a great advantage. The bathrooms are excellent and creative with two shower heads, a normal one and an Amazon head. I found the staff very friendly, accommodating and happy to help no mater what you required. I would certainly come back here for a weekend break. We were warmly greeted upon arrival but the service has been fairly inattentive since then. I never write reviews while my hotel stay is still ongoing but I feel compelled to do so now. There is a certain level of standard a five star hotel should maintain but our stay has seemed to miss that mark. Little things - no iron or ironing board available in the hotel room. I called for housekeeping and they brought one quickly - but the iron itself was leaking and broken. I left the room and came back an hour later and it was taken away. I called back to have a new one brought in so I could use it in the morning. They brought back the same broken iron....I had to call again in the morning and they brought in a new one. But later in the evening it was taken away even though I told them that I need to keep it in the room to iron my clothes - I do not understand why they had to keep removing it from my room. This is a ridiculous hassle. I called at night (about 1030pm, not extremely late) to have a soft pillow brought up for my wife - the room came with a "pillow menu" included in the luxury room. Upon calling, I was informed housekeeping was gone for the night and they would attempt to meet the request. I told them to at least call me to let me know if the request could be made, which they said they would. After 40 minutes and no phone call, I went down to the front desk and they said they were still looking into it. The attention to detail is simply not there. Even small things such as greetings - whenever we pass through the lobby, no one says hello or goodbye to us. The atmosphere has not felt very welcoming. The beds I will say are absolutely comfortable though. It's the best part of the hotel. However, the showers take about 15 minutes for the water to become HOT....which is also abnormal for a 5 star hotel. For the price point and five star classification, I would recommend looking elsewhere. My wife and were certainly expecting more. Seven Nights in a Wonderful City ! Breakfast - at this hotel was excellent ! A great choice of hot and cold dishes (international and Portugese)...everything you could want......and the coffee was also excellent ! (Service was very good too). A great start to the day.......make sure you include breakfast in your room booking ! Bed - I had a superior room with King size bed.....travelled alone. The bed was one of the best I have ever slept in ! The room was kept very clean...also tuck down in the early evening (with a chocolate - always welcome !) . Lighting was good, room was well soundproofed. Good selection of TV channels and fast internet. Shower worked well after you mastered the various knobs ! High quality towels - good. Also bathrobes. Coffee machine in room with free coffee capsules and complentary bottle of water. Is a minbar (I never use them). VingCard electronic card lock on the door and a 4/6 digit safe in wardrobe. Would have preffered a higher desk and chair in front of the window rather than the low table and leg rest to sit on.....(on my final day a chair appeared ! )....reason being I am older and working on my laptop when I am in the room. No ironing board. There was too little space for keeping clothes...in the one cupboard most of the shelves were used for storing other items....needed more space (even when I was travelling alone...but I stayed 7 nights). Could put a small chest of drawers under the TV ? But all in all the room was good - especially the bed !! Service - was very good both at front desk and concierge...and at breakfast (and in the restaurant - only visited once for lunch). Friendly staff - and a smile is worth millions ! Value for money - at just over Euro 200,- a night including breakfast it is what one expects to pay. The breakfast, central location and comfortable bed were worth it ! Restaurant AdLib in the hotel......I only had lunch here one day....Euro 23,- for a three course lunch + drinks/tip was a tasteful menu....(was out sightseeing most of the time - so I eat out). One suggestion.....market it better....entrance is hidden round a corner in the main reception area. Needs to be more visible ! Put up some posters (including menus) in lifts....even in main reception area.......and perhaps put daily menus in rooms ? I am sure this restaurant could do more business. The menu was posted out in the street...but the pavement was narrow here and difficult to stop and read it. Service was good. 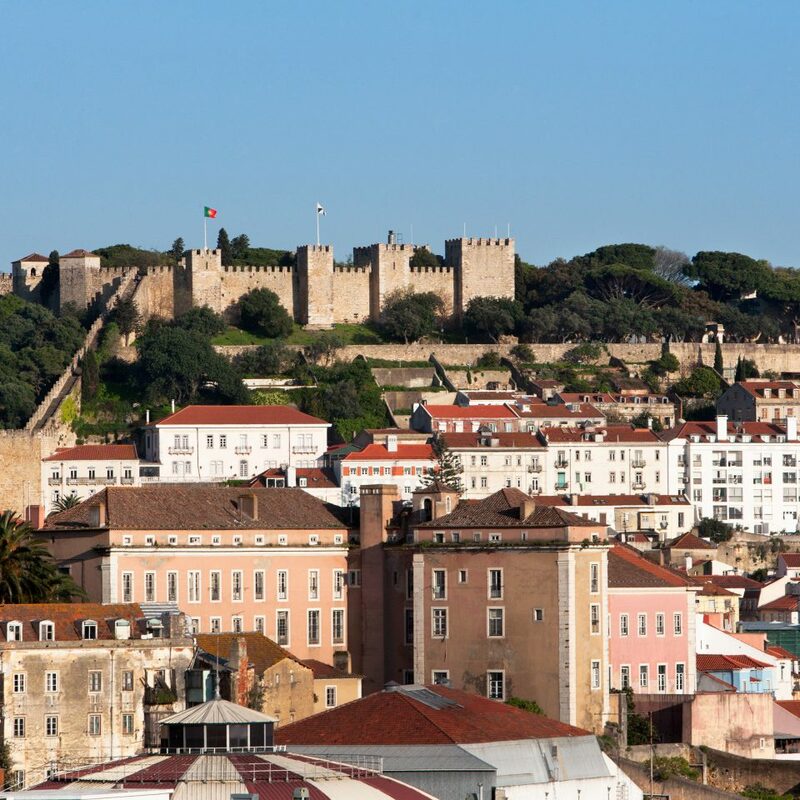 So much to see and do in Lisbon....what a wonderful city ! Recommend a trip there to everyone....Alfama was my favourite area. Food and drink in the small cafes is both enjoyable and reasonably priced. I love all the Portugese small snacks - and sweet tarts ! 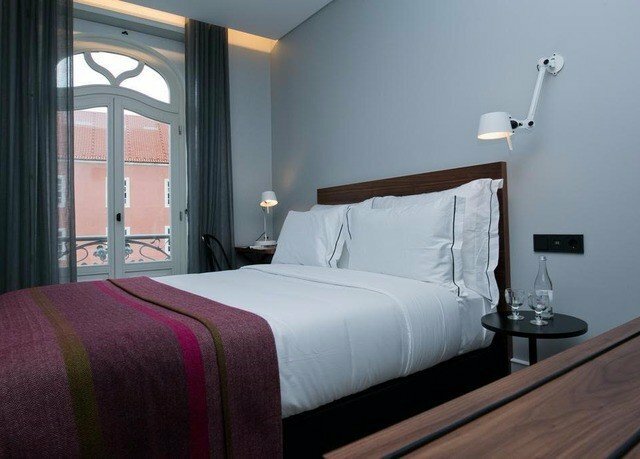 We stayed a couple of nights in Lisbon at Sofitel. 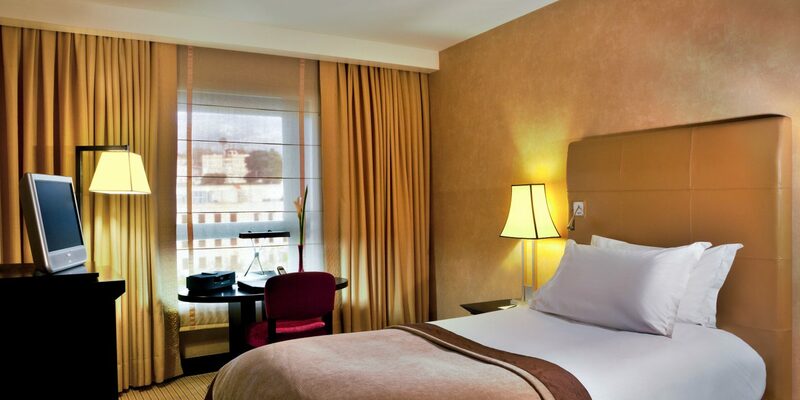 Located on the beautiful avenue among the elegant shops, this hotel could not be more well situated for transportation, walking, eating, touring and shopping. We were greeted with attentiveness to arriving early and gaining access to our room. The staff throughout our stay was most friendly and helpful. The room was well-appointed with a large screen tv, English speaking channels for news and movies, good wifi, tea and coffee with excellent bed and linens. The breakfasts, including the French Press, were exceptional. As I celebrated my birthday while there, I was surprised with a champagne-juice drink at breakfast and later with a delicious slice of specially prepared cake, ballon and birthday greetings letter. All of this made my stay a treat.